“Yanke Doodle” (2015) by Tim Yanke. When asked about his style, Tim Yanke found himself remembering a conversation with fellow Park West artist Csaba Markus. 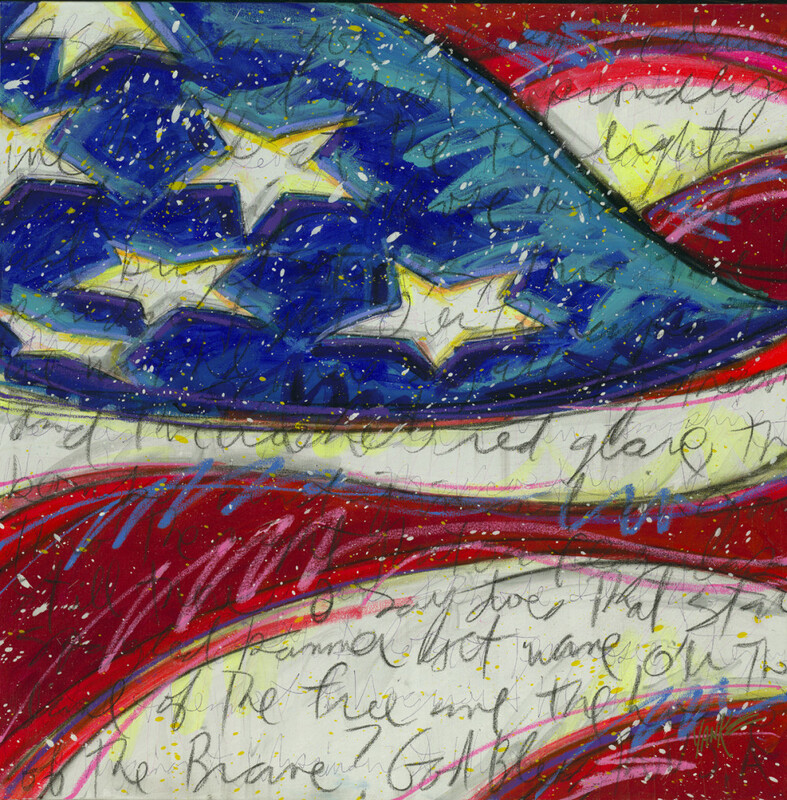 Yanke, a Detroit native featured in Park West Gallery’s “Detroit’s Finest” series, has more than a great sounding American name – he has a unique style that expresses the creativity, freedom and spirit of the United States. Growing up in Detroit, Yanke would hone his artistic abilities by drawing cars and motorcycles. Motown also exposed him to a variety of music. Nowadays, Yanke says he needs music as much as he needs paint or a canvas to create art. Yanke’s artwork, though, moved from drawings to abstract and personal. When studying art history, Yanke became fascinated by abstract and impressionistic styles, further motivating him to become an artist. He was influenced by painters such as Willem de Kooning, Cy Twombly and Paul Klee. His style is often called “Neo-West,” born out of visits to Northern Arizona University to see his brother and sister. He was moved by the vivid colors of the sky and the earth. 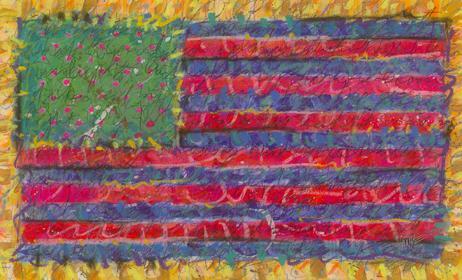 One can see these influences through his use of bold, bright colors, which hints at his passion and energy. When his sister passed away, Yanke’s fervor for the Southwest grew. This inspired him to paint with all of his heart, finding it cathartic because the Southwest would always remind him of his sister. 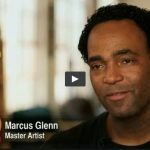 “I know it doesn’t make sense that a guy like me from Detroit is painting the Southwest, but I’ll tell you what, I paint it with more heart and soul, perhaps more heart and soul than most Southwest artists,” he says. 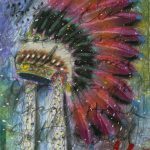 Yanke continually returns to the Southwest, where he collects Native American art and artifacts that he uses in his paintings. His creativity is renewed with each visit to locations like New Mexico, where the colors radiate with energy and warmth. One of Yanke’s favorite stylistic elements is the use of powerful black lines. Whether it is acrylic, pastel or charcoal, he sharply contrasts his bright colors with black to make them pop. 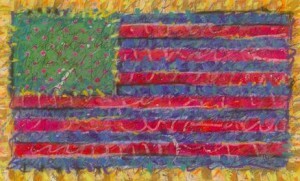 An example of this is seen in his patriotic “Yanke Doodle” works, which depict the U.S. flag in a variety of colors and will often include writing, whether it’s the names of states or a verse from the “Star-Spangled Banner.” As he explains, the flag paintings symbolize America’s diversity as a melting pot, with the various flag colors representing people from all over the world living in the country. “Yanke Doodle 37” by Tim Yanke. When fostering his budding art career, Yanke thought success was measured by how famous he would be as an artist. What he learned, however, is that success for him is not fame or which museums display his art, but rather, that his artwork inspire others and hang in homes where people live and grow. 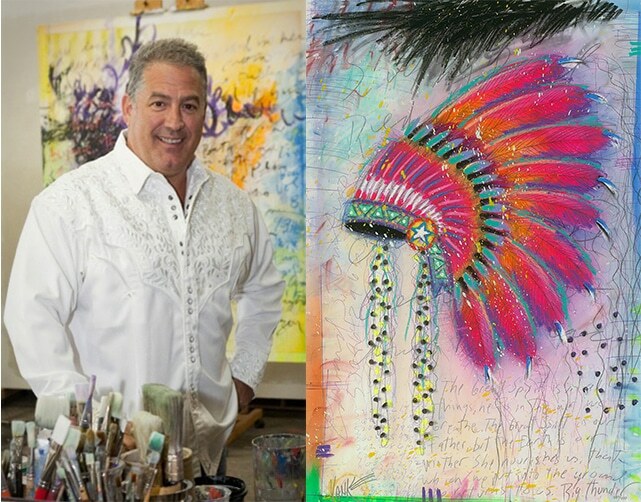 You can see “Yanke Doodle” “Big Thunder” at our gallery in Southfield, Michigan. They will be on display until July 24! The post is worth reading. Illustration made confused at first but then I have adopted the one. Thank you for posting. Is American original for sale?